These are something I make all the time because I grow jalapenos in my garden. Not only are they delicious but they’re quick and easy. Here’s an example of one way to spice these up! 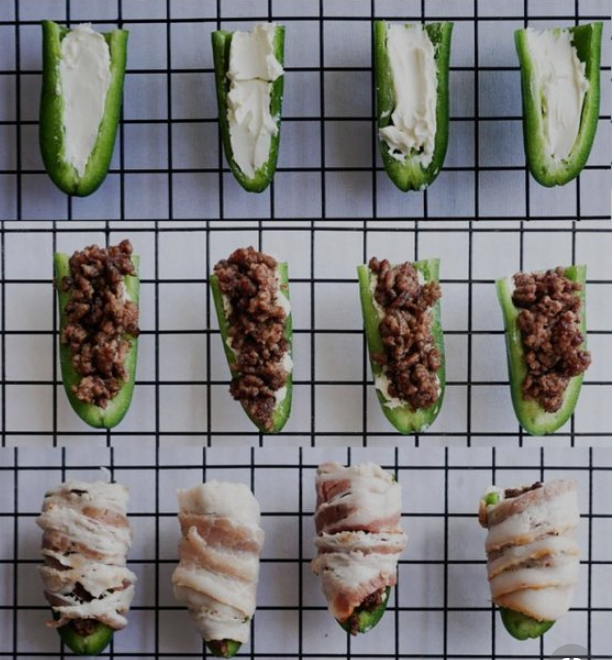 Spread cream cheese inside each jalapeno half. Don’t overfill with cream cheese or it will be hard to fit the ground beef in!